I first met Chiara Bianchi and Daniele Presutti, circa 2012, high in the Umbrian hills. They were toiling away, pruning vines in a foggy, late March rainstorm in a remote mountain side vineyard at Vigneti Campanino. Chiara has studied Classical Philosophy and had grown up working in her family's Roman restaurant. Daniele was a studied architect, who, like most architects, had left the profession to pursue his real dreams. 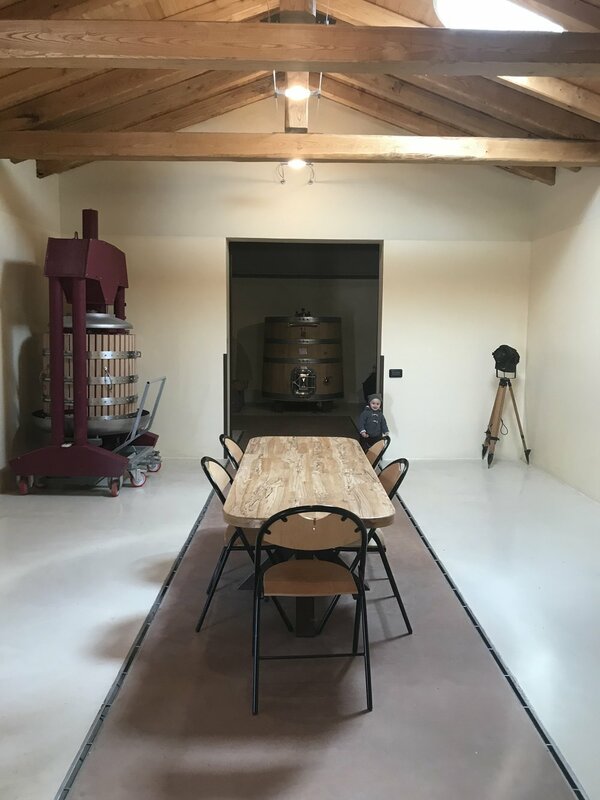 I could sense the passion and excitement they had for making natural wine, and they had no fear of the essential work and sacrifice they needed to make to realize their dream. Chiara and Daniele honed their skills and practices of natural farming and winemaking for several vintages at Campanino. At that point, they had little more then passion and a dream; that dream was to one day have their own vineyard, Cantina and home on the outskirts of Rome, where they were both born and raised. In the summer of 2014, after several years of scouting land in the Castelli Romani, just south of downtown Rome, they found a scant 2 hectare plot hidden from the frantic city surrounding them, perched atop the village of Frascati. This was it, a rare find of old local vines never treated with chemicals, that was crucially "for sale"... Ribelà was born. The first vintage for Daniele and Chiara was 2014. They evaluated the soils, worked the vineyards all summer and rented warehouse space in a nearby co-op to make their first wines. They called their project "Ribelà", a local term in Roman dialect that means "re-birth" or "renew". These wines represented the future and a true revival of Frascati, an ancient winemaking region dating back to pre-Roman times, that has unfortunately become known as a cheap, junky white wine sold to sun-scorched tourists in Rome for the past half century. Chiara and Daniele's mission is to change this perspective and to breathe new life into Frascati as we know it. From 2014-16 the wines were made in rented winery space. This allowed them to acquire an adjacent parcel of land that would be the site of their own winery/home. In early 2017 they broke ground on the cantina and by September they were able to make their first wines in their own space. The vines at Ribelà range from 30-60 years old, with a tiny parcel planted on un-grafted, piedi franco rootstock. They are located at 350+ meters of altitude, the highest in the Frascati/Castelli Romani DOC. Soils are a unique mix of volcanic basalt, sand, clay and limestone; something you only find high on the hillside of Frascati. Farming is combination of holistic Biodynamic and natural, non-intervention practices. The grape varieties are those traditional in this part of Lazio; Malvasia, Trebbiano, Bombino Bianco, Bellone, Cesanese, Aleatico and Montepulciano. 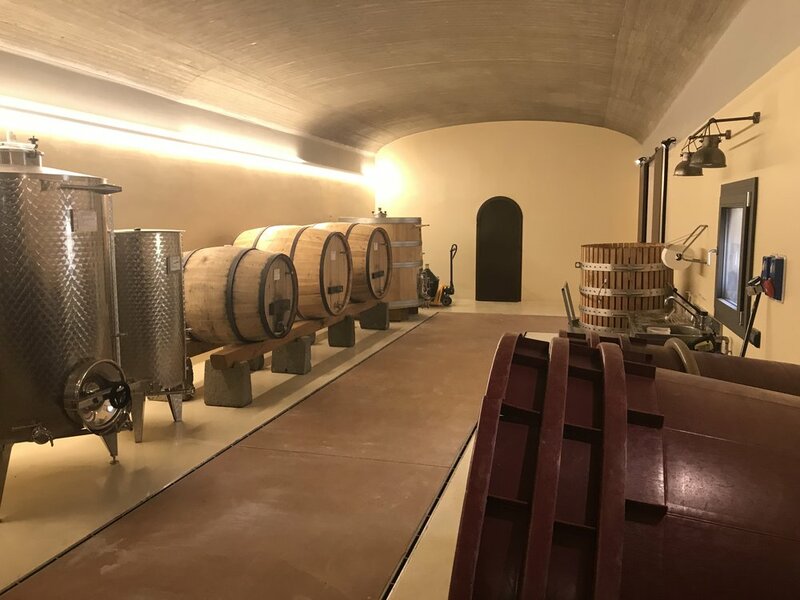 The winemaking is rigorously natural in approach, with respect for the regions traditions as well as a "modern" understanding of natural farming and winemaking without any additives. No yeast, no sulfur...just grapes and intuition. I've been fortunate enough to see Ribelà go from an abstract dream to a bonafide reality in the span of just several years. The wines are truly progressive, dialed and crafted with serious intention and attention to detail. Chiara and Daniele are well on their way to being THE reference point for naturally made wine in Lazio. I hope you enjoy their wines as much as I do, seek them out and support their vision. Made by Vento Forte Brewing with grapes from Cantina Ribela. 5% abv. 300 bottles made.